● Free standard shipping is available for all US orders $100 and higher. Just enter the special promo code found by clicking on the Free Shipping link on the upper right side of the homepage. A $7.50 flat rate standard shipping fee applies to orders below $100. ● Links of London accepts returns free of charge within 28 days of delivery. Items must be returned with its original packaging, proof or purchase and security tag if available for a full refund or exchange. Sale items are not qualified for a refund. Shipping charges are also non-refundable. 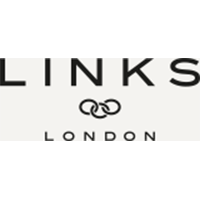 Links of London visitors are going to be able to browse in extensive collection of fashion jewelry options for men as well as women. All of these unique high-end pieces of jewelry have been designed by some of the most renowned jewelry manufacturers in the world, and many of the pieces available for sale here are available as exclusive only options that won't be found anywhere else. Customers that sign-up for a free membership on this site will receive a 25% off coupon, and customers purchasing jewelry from here will also have the chance to take advantage of exclusive financing options available directly from the retailer itself. For most up to date offers check out Links Of London on Facebook and Twitter or contact Links Of London Support for any questions.